VisitEngland, the national tourist board has announced the finalists for the Awards for Excellence 2017 with Experience Oxfordshire named as a finalist. The winners of this prestigious accolade will be announced at the Awards ceremony on Monday 24 April at the Hilton Waldorf, London. 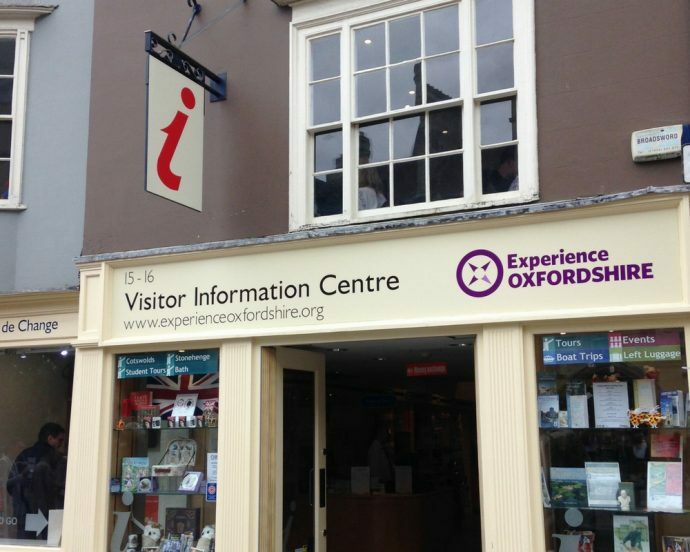 Following on from last year’s success in the Beautiful South Awards, Experience Oxfordshire were announced as a finalist last week, and represent one of the three finalists for the Visitor Information Provider of the Year in England. All finalists must wait until the Awards ceremony to discover whether they have won an award. The VisitEngland Awards for Excellence 2017 celebrate the best of English tourism. They promote high standards, helping to ensure England’s place as a world-class destination. www.visitenglandawards.org. The categories for the 2017 awards include: Afternoon Tea of the Year, Bed and Breakfast of the Year, Boutique / Guest Accommodation of the Year, Business Tourism Award, GREAT China Welcome of the Year, Dog Friendly Business of the Year, Family Friendly Accommodation of the Year, Family Friendly Attraction of the Year, Family Friendly Food & Drink Business of the Year, Glamping Provider of the Year, Guided Tour of the Year, Holiday Park / Holiday Village of the Year, Hotel of the Year, Inclusive Tourism Award, Large Visitor Attraction of the Year, Self-Catering Holiday Provider of the Year, Self-Catering Property of the Year, Small Visitor Attraction of the Year, Sustainable Tourism Award, Taste of England Award, Tourism Pub of the Year and Visitor Information Provider of the Year.. In addition to the 22 categories are the additional Awards for Tourism Superstar and Outstanding Contribution to Tourism. The Outstanding Contribution to Tourism Award will be announced at the award ceremony. Previous winners of this award have included The Great English Pub, Michael Eavis CBE, HM The Queen, the Harry Potter films, Sir Cameron Mackintosh, Sir Paul McCartney, Liverpool, The National Trust, the English Garden, 2012 Olympic and Paralympic Games Makers, The Travel Agent, Chefs of England and last year BBC’s Countryfile.